This is either very good news - or very bad news - for bitcoin. After the pioneering crypto currency (and other popular digital tokens) crashed this past week (dashing hopes of a near-term recovery after bitcoin retook $4k), Bloomberg reported a portentious development in crypto that could mean the market is in for a wave of selling - or buying - as dozens of bitcoin ur-wallets have sprung to life in recent weeks. 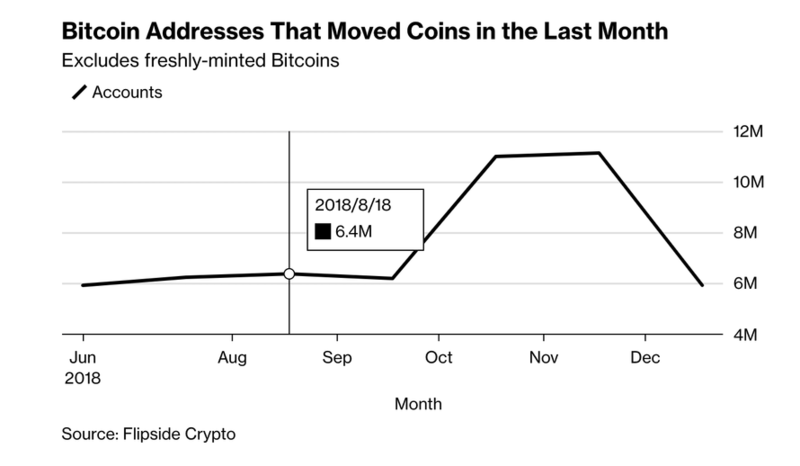 While the number of accounts trading, transferring, buying or selling coins spiked late last year. 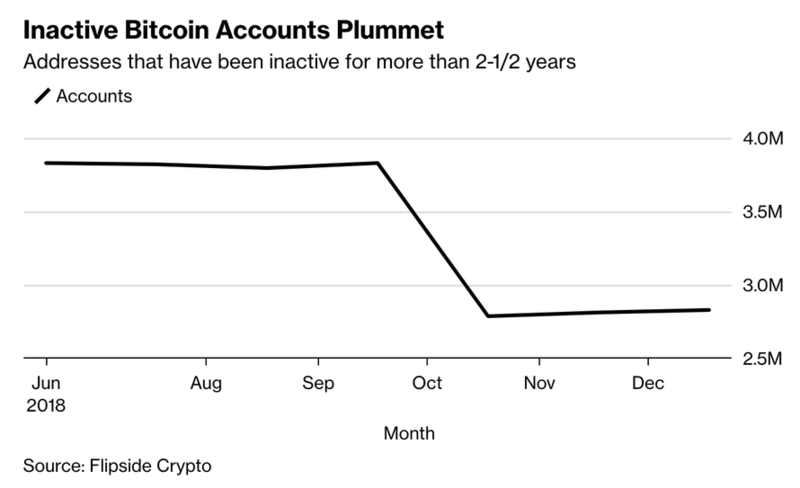 The owners of some of bitcoin's oldest accounts - many of which have long been dormant - have shown signs of life starting in October. The actively-traded supply of bitcoins has risen 40% since last summer, according Stone. This is important because a similar pattern preceded large price swings in 2015 and 2017, most recently foreshadowing the frenzy of (manipulation aided) buying that sent the price of a bitcoin to $20,000 briefly before prices cratered the following year. "It’s definitely a big shift," Eric Stone, head of data science at Flipside, said in an interview. "There’s more potential than usual for price swings." The bitcoin market is notoriously concentrated. 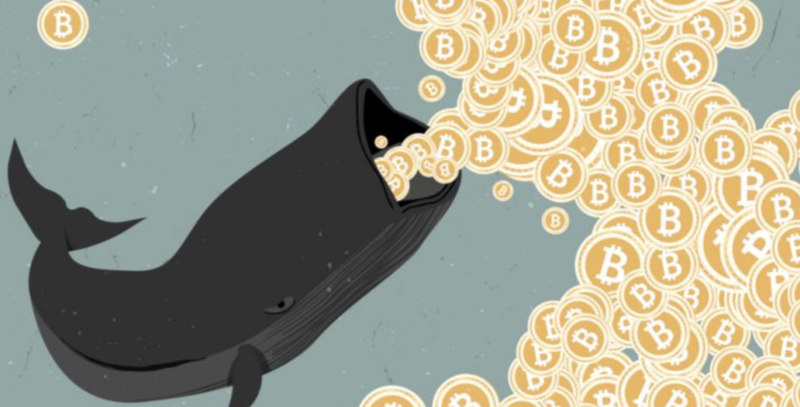 About 1,000 addresses - often referred to as "whales" control some 85% of all Bitcoins, and include many early investors that have remained relatively inactive during the stratospheric price surge and collapse of the past two years. "We’ve definitely seen that many long-time holders of Bitcoin are becoming active," said David Balter, chief executive officer of Flipside. "The fact that those wallets have been recently active leads us to believe they could soon be active again," Stone said. "Put another way: We have no reason to expect them to remain stagnant for another 2-plus years." 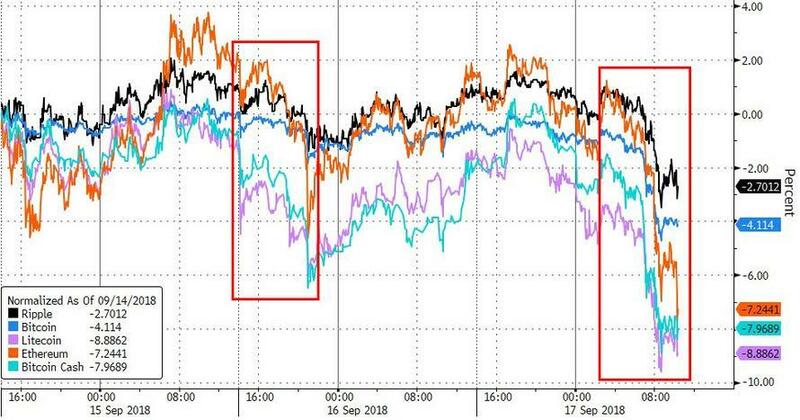 For anybody who doubts the power that whales can exert on the price of bitcoin, just look back at the chaos unleashed in September when a mysterious wallet with $720 million in bitcoin aroused from its slumber and started dumping coins.